In order to reduce the cost of dental implants to our clients, we have decided to take a pay cut. We do not compromise on the quality of the dental implant parts, but just on how much we make from the service. Since every dental implant procedure is unique there may be additional costs depending on the patient requirements. Below are some additional costs to consider when deciding to get dental implants. An x-ray is necessary in order to determine the necessary procedure, including whether a bone graft must be performed or not, and whether there are any infections that must be treated before the dental implant procedure is performed. Some patients require an existing tooth that has been compromised to be removed prior to the placement of a dental implant. 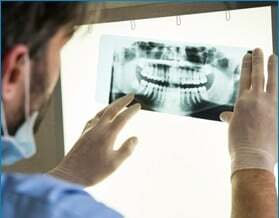 There is an additional cost for tooth extraction. In many cases a dental implant can be placed immediately after the tooth extraction. Some patients may require a bone graft before a dental implant can be placed into their jawbone. Bone grafts are necessary if the patients’ gums have receded or thinned out. 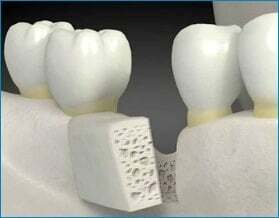 Bone grafting allows most patients to enjoy the benefits of dental implants. There are added costs for bone grafting and they depend on the severity of the recession. Some patients with anxiety and fear may chose our painless sleep dentistry service. Sleep dentistry also allows our implant dentist to do his work in a calmer environment, which results in more optimal implant placement. There are additional fees for our sedation dentistry service, which depend on the level of sedation desired.